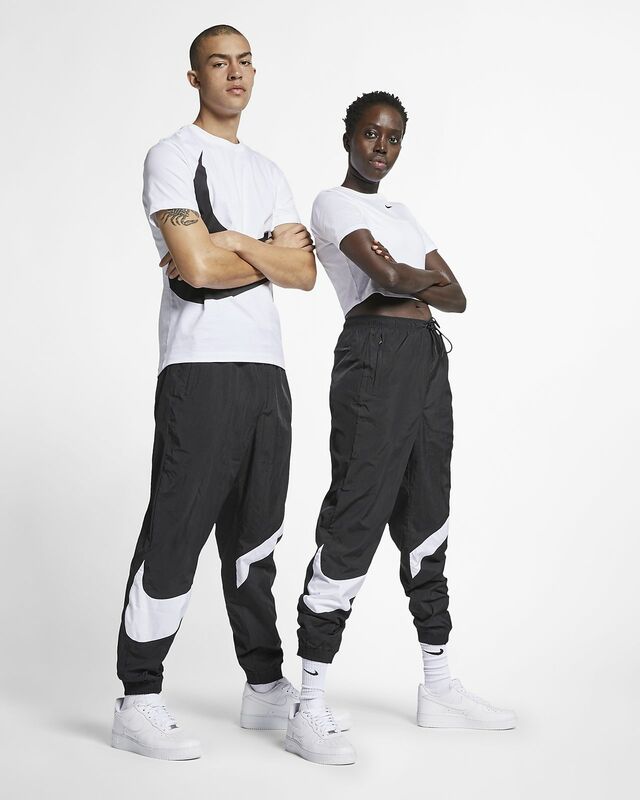 The Nike Sportswear Trousers are designed with a giant Swoosh design that wraps across the front of the legs for a look that jumps off the page. Taffeta fabric is smooth and durable. Elastic cuffs show off your kicks. 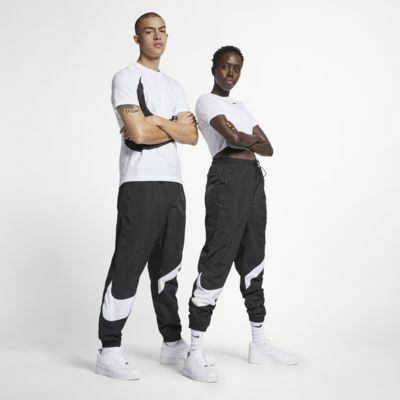 Fabric: Body: 100% nylon. Panels/lining: 100% polyester.